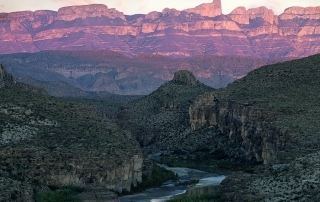 The Rio Grande is a continental river which forms the border between Mexico and the US and gives the Big Bend and the state of Texas their distinct shapes. The Rio Grande begins in the high snowfields of the continental divide, in the San Juan range of central Colorado. After a sparkling plunge towards the east, the young Rio Grande bends south to water the fields of the San Luis Valley. 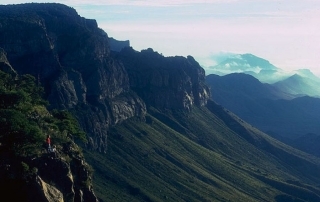 As the Rio Grande crosses the New Mexico / Colorado border, it enters a deep rift valley, the Rio Grande Gorge. This section of remote wilderness canyon and precipitous wild water was declared our nation’s first Wild and Scenic River in 1968. Leaving the Gorge, the Rio Grande crosses a broad, arid plain almost the entire way south to the Texas border. 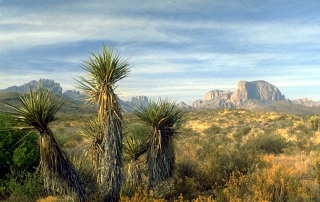 This series of rich valleys have been inhabited since man came to North America. The river was heartland for the culturally advanced Puebloans, and later became a highway of conquest for Spanish explorers. 250 miles below El Paso, near Presidio, TX, the Rio Conchos comes into the Rio Grande from Mexico. During the last 100 years, most of the flow through the Big Bend from Presidio to Amistad reservoir, below Langtry, has come from the Rio Conchos. 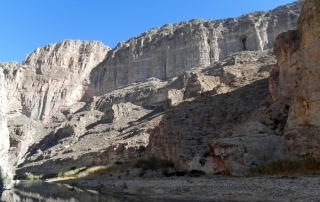 The Conchos drains most of the state of Chihuahua, and river levels in Big Bend are more dependent on rainfall and reservoir storage behind several major dams on the Conchos, than they are from water of the main stem Rio Grande. For the next 300 miles, the Rio Grande traverses some of the most sparsely populated and ruggedly scenic territory on the continent. 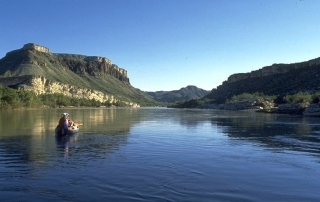 The Big Bend area is a popular destination for thousands of visitors each year who come to float the Rio Grande. 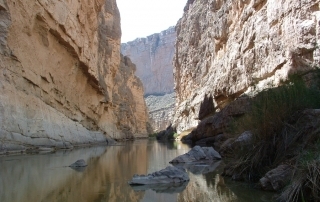 The main attractions for river runners are 5 major and several minor canyons in the over 250 miles of protected river in Big Bend Ranch State Park, Big Bend National Park, and Rio Grande Wild and Scenic River. These magnificent canyons, up to 1500 deep, offer some of the most impressive wilderness scenery anywhere. Certain canyons can be navigated in a single day, while others may take several. A few easily accessible river segments outside the canyons allow for short trips. 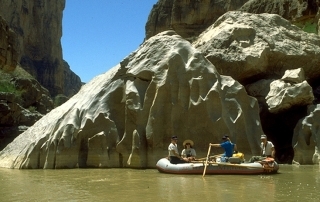 The Rio Grande is not considered difficult by experienced river runners. Some sections are more treacherous than others, and risk levels always increase in proportion with water levels, which can change suddenly. However, most times and places, the Rio Grande is a gentle, lazy river. 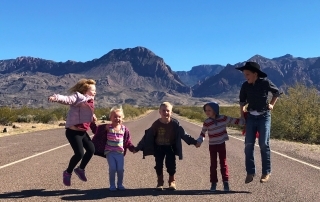 People of all ages and descriptions include a trip on the Rio as an integral part of a Big Bend vacation. 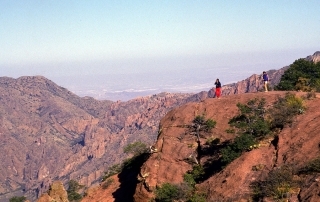 Local outfitters operate trips as short as 3 hours and as long as 10 days. 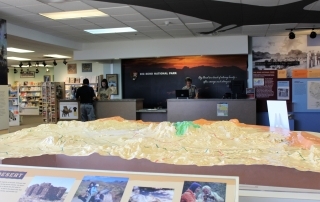 For visitors planning to do it themselves, local services provide everything from guidebooks and planning materials, to equipment rental and vehicle services. 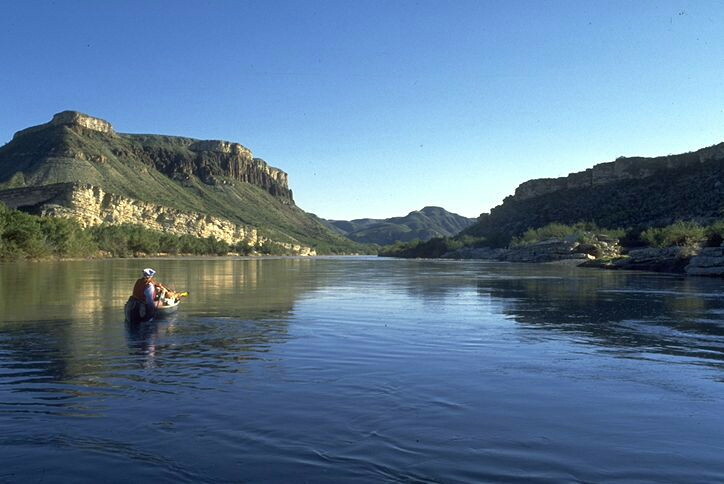 The Rio Grande is a fascinating river, full of history; a cultural landmark that unites 6 states in two countries. 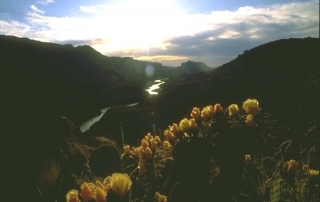 The haunting beauty and isolation of the Rio Grande through the Big Bend country provide the last remaining place where the Rio can be appreciated as a truly wild river.